Chief Warrant Officer Two Scott W. Dyer was born on September 2, 1968, in Alexandria, Va. He was an assistant detachment commander assigned to 3rd Battalion, 3rd Special Forces Group (Airborne) at Fort Bragg, N.C. 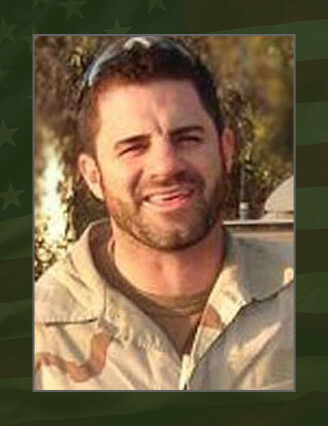 He died October 11, 2006, from injuries sustained during combat operations in southern Afghanistan. Dyer entered the Army in November 1987 from Titusville, Fla. as a cavalry scout. After an assignment to the Joint Readiness Training Center, Fort Polk, La., he moved to Fort Bragg, N.C., and graduated from the Special Forces Qualification Course in 1994 as a Special Forces Engineer. Dyer was then assigned to the 3rd Special Forces Group located at Fort Bragg. While at 3rd SFG, he participated in numerous deployments to Africa, Caribbean Islands, Haiti, and the Balkans. In 2002, he was reassigned to 96th Civil Affairs Battalion (Airborne) and participated in deployments to Hungary, Macedonia, Czech Republic and one tour in Afghanistan. He graduated from Warrant Officer Candidate School in 2003 and was reassigned to the 3rd SFG in February 2004. Dyer deployed with his unit to Afghanistan in August 2006. His awards and decorations include the Meritorious Service Medal, Army Commendation Medal, Army Achievement Medal, Good Conduct Medal, National Defense Service Medal, Afghanistan Campaign Medal, Global War on Terrorism Expeditionary Medal, Global War on Terrorism Service Medal, Armed Forces Service Medal, Humanitarian Service Medal, NCO Professional Development Ribbon, Army Service Ribbon, Combat Infantry Badge, Master Parachutist Badge, Military Freefall Jumpmaster Badge, Military Freefall Parachutist Badge, Air Assault Badge, Ranger Tab and the Special Forces Tab. Dyer is survived by his wife Jodi, son Casey, daughter Sidney, mother Sandra Miller and step-father Steve Miller of Tequesta, Fla., father Carl Dyer of Alexandria, Va., and sisters Tawnia Peterson of Orlando, Fla., and Dawn Hill of Rockledge, Fla.